We suggest that before you order from Cameo Fine Arts you read our Shipping & Returns information carefully. New Zealand Post - ParcelPost Tracked (Most Economical) - target delivery is 1-3 working days, online tracking, delivers to rural areas and to NZ Post PO Boxes and Private Bags. International shipping in discreet shipping is also available at Checkout. The shipping prices that are displayed at the time of checkout is only an estimate not the actual charge, as some larger items may have additional shipping fees, due to your location and we're there coming from within New Zealand, these will be confirmed before any extra charges are applied. 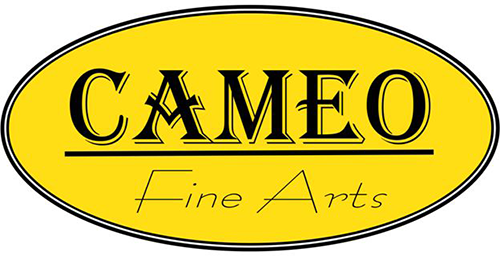 Cameo Fine Arts pride ourselves on our quick shipment of in stock products, same day order processing means that most domestic orders placed before 3pm central time Monday through Friday usually leave our warehouse the same business day! Normally, once your order enters the 'Processing' part of your account status, it may not be cancelled or altered in any way. If your package has not been shipped yet, you can use the information on the Contact Us page to request alterations, however PLEASE NOTE, that if your package has already been assigned a ParcelPost or CourierPost Track & Trace we make NO GUARANTEE that the change can be made before the order ships. We regret any inconvenience this may cause you. We also accept payments via Paypal®. Paypal accepts payment via Visa, Mastercard, AMEX, Debit Cards and more. We accept New Zealand bank deposits however please note that if paying via bank deposit, that your Fleshlight order will not be dispatched until the payment shows into our company bank account (which can take 1-3 working days to show). Available at checkout, cheques are payable to: NewZealandNZ.co.nz Limited and sent to: P O Box 327 Rangiora 7400 New Zealand, your order will not ship until we receive payment. Orders placed before midnight for products that are in stock will generally be processed and shipped within 24 hours, providing all Credit Card information is validated. Orders placed during weekends or public holiday(s) will be processed the following business day. Please allow 2-5 working days for delivery of in stock products.